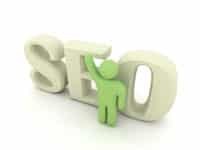 Search Engine Optimization (SEO) is a growing business industry. Website owners are realizing that they need help to get their websites ranked well for buying keyword phrases. But what do they look for in a search engine optimization company? They are getting emails promising #1 ranking in Google. Every website owner wants the coveted #1 spot – but not all can have it. In fact there is only one company that will get the #1 spot – that is the facts not a guarantee. 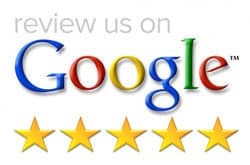 Any company that will promise you the #1 spot in Google should not be considered as a contender for your SEO business. Google controls the process for ranking sites – not your SEO company. Even if you make it to the first page of the search results, Google can change how they are ranking sites tomorrow and your site could suddenly be buried several pages into the results. Another problem with this promise is the quality of the keywords that you are ranking for. You can be in the number 1 spot of Google but if no one is looking for that keyword phrase – who cares? You will not be getting any clicks from traffic that does not exist. If you are approached with a #1 ranking in Google – RUN! A legitimate SEO company will sit down with you and plan out an online strategy with realistic goals and expectations. They will perform keyword research to discover what the buying keyword phrases for your industry are and give you a realistic expectation of how you will be ranking for these keywords. Often times you will discover that ranking really high for a less popular keyword phrase will give you better qualified traffic that is ready to buy – not looky-loos. – if you are told there is then the company is not legitimate. The world of Search Engine Optimization is always changing. As more information on how people search becomes available to the search engines like Google they then change how they rank sites. The ultimate goal of a search engine is to deliver the most accurate and closest result for the user. The happier the searcher the better the search engine has achieved its goal. As the website owner it is your job to make your website relevant to what your customers are looking for. All of these things are changing and flexing – SEO is never static and it has no magic bullet. Quality SEO companies will evaluate your website, do keyword research, give you a realistic plan and strategy, and help you follow through with the plan. They will also provide progress reports and make adjustments to the plan as needed. SEO is a long term strategy not a short term fix.